Now that the obvious charms of the summer container displays are losing their vibrancy it’s time to give the long months of winter some thought.With some careful consideration there’s no reason why you can’t have colour and interest in pots and hanging baskets even on the coldest days. Hanging baskets used to be packed away until the spring but these days they have much to offer all year round. There isn’t that much room so what you pick will need to come from a smaller pot and punch above it’s weight in what it can give you. The garden centres are full of choice examples. At Podington garden centre near Wellingborough Nicholas Warliker reckons popular choices of plants are Pansies, Violas, Primroses, Cineraria @Silver Leaf’, trailing Ivy and Lysimachia ‘Goldilocks’. 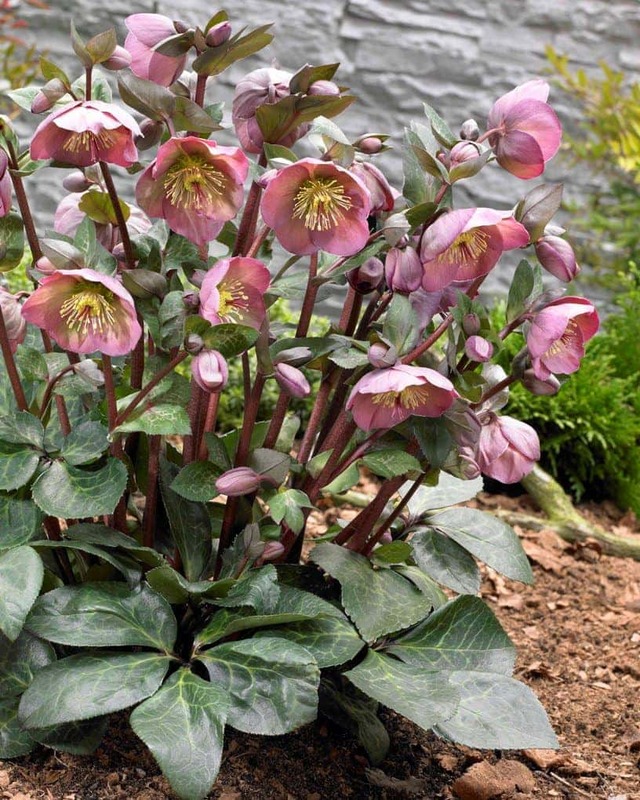 “In sheltered areas, try Miracle Cyclamen, which come in a wide colour range and are hardy down to -2 degrees C,” he says,”to give a little height in the centre, place a dwarf conifer such as Chamaecyparis lawsoniana ‘White Spot’ or a dwarf shrub such as Euonymus or Skimmia.”Finally add in some dwarf bulbs to give you a spring surprise. In pots and troughs winter flowering pansies will give instant colour from the minute they go in, but you need to consider that it is a long haul until spring and it’s nice to see some change over the months. Bulbs are the first place to start, snowdrops will not let you down, available in pots early in the new year from garden centres they can be added into your existing winter display and are more reliable than bulbs in packets for the short time the container is planted up. Also consider Narcissus. 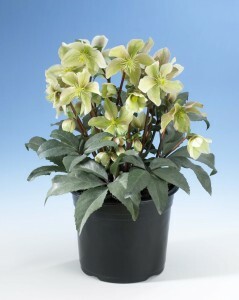 Thalia is a subtle white colour multi headed flower and scented that lifts gloomy areas, consider it in combination with a specimen hellebore in the container, ‘eric smithii’ and it’s related varieties have wonderful colour and form with the grey green leaves staying healthy through out the season. 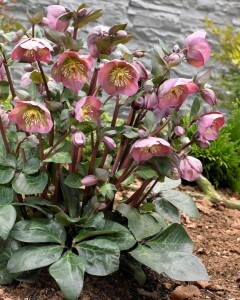 Here at Eden Landscape projects I favour a combination of hellebore winter ‘moonbeam’or straight Eric Smithii with dark red winter pansies and bulbs such as tulip ‘Tres Chic” or ‘White Emperor’ and if there is room , a few narcissus ‘Thalia’.